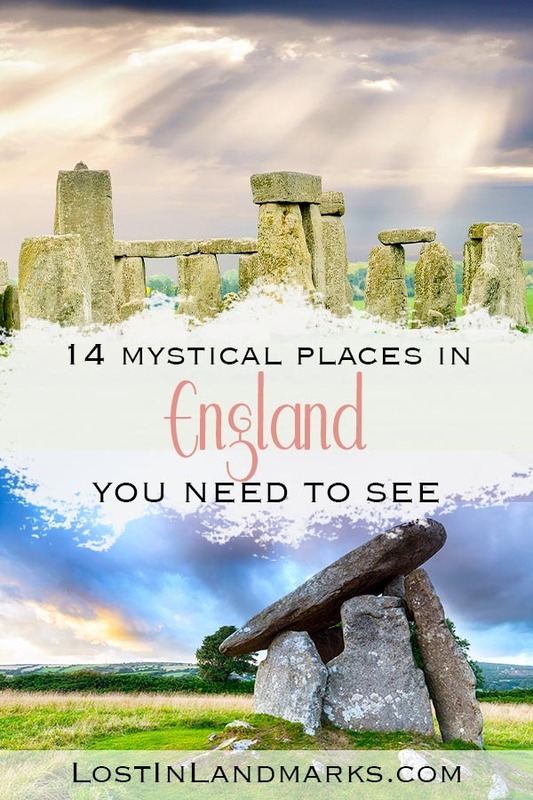 England is full of ancient stories, mystery and history so no trip to the country is complete without checking out a few of their ancient sites. There is so much to see and do, it’s way more than just stone circles! We’re looking at Ancient sites in England that are from prehistory, the bronze age all the way up to the Iron Age (which is just before the Romans came). You can find ancient sites all over the country but if you’re short of time the most well known sites tend to be concentrated in the Wiltshire area. Here you’ll find henges, stone circles, man made hills as well as a myriad of other smaller sites and discoveries. I’ve detailed some of them in this post but I’m by no means covering everything! Almost all of the sites are best visited on dry days as they are almost all outside. Some of the more major attractions do have indoor exhibitions to look at as well so if you’re stuck with weather then consider those. Many of the sites are free to visit and are open year round in daylight hours. Many of them are owned by English Heritage and if you are looking to visit a few of their sites that have an entrance fee then I definitely recommend their membership. 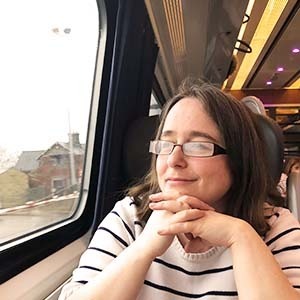 It will allow a years worth of visits but even if you’re not around for that long but you’re planning on visiting lots of historical sites, castles and stately homes, it may be worth doing. Check their site for the full list of places to go – there are lots! We definitely got our money’s worth when we had it a few years ago. You can see info about English Heritage membership here. Overseas visitors will probably want to look in to the Overseas Pass which gives either 9 or 16 days worth of entry to English Heritage sites – see here for more details. 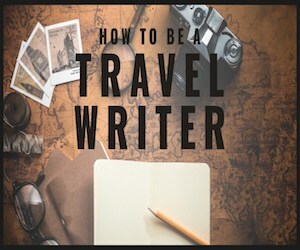 If you’re based in London but still want to see some of the sights mentioned here then there’s plenty of tour options to choose from. Many go to Stonehenge and really, if that’s all you can manage please still do it – it’s really a special place that I think everyone should see! Check out the tours below which come highly recommended. Where is it? Near Salisbury in Wiltshire, South England. 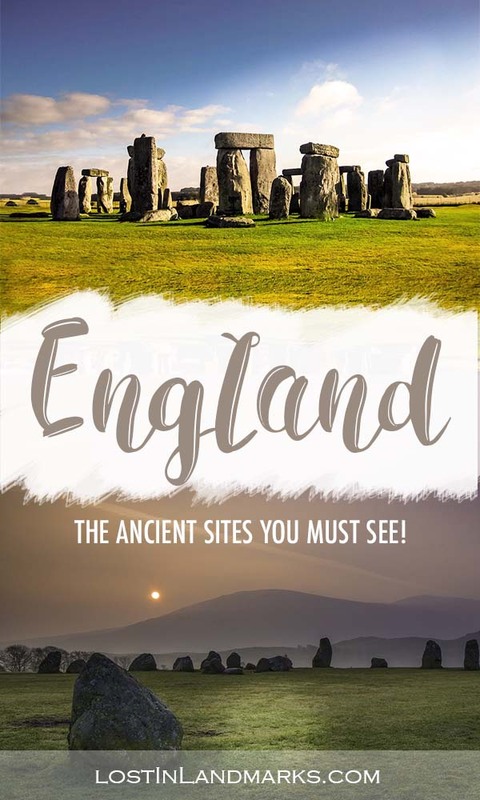 It’s really not a very thorough guide to ancient sites in England if I don’t include Stonehenge is it? It’s really and truly one of my favourite places I’ve ever been and I was actually expecting to be a bit underwhelmed before I saw it for the first time. I mean, how exciting can a group of stones be? Wandering round the stones and seeing the enormity of them is actually quite awe inspiring – I’m trying to not sound cliche about it all, but it’s really just wondrous to see. I adored visiting there and have visited again on another occasion and loved it again. Stonehenge is a prehistoric stone circle and activity in the area has been found to have started around 5000 years ago. The stones are interesting because they aren’t native to the surrounding area and were brought in from a lot farther afield. The Sarsen stones are thought to have come from an area 20 miles or so away and the bluestones from all the way in Wales. It certainly was a well planned monument! It should be noted that there are timed tickets for entry to Stonehenge now and you shouldn’t just turn up expecting to be able to get in. If you want to be sure of getting in on a set day do book ahead even if you have membership and can gain free entry. Where is it? Wiltshire, South England. About 24 miles north of Stonehenge. Avebury is definitely a special place and again one that I felt far surpassed my initial expectations. 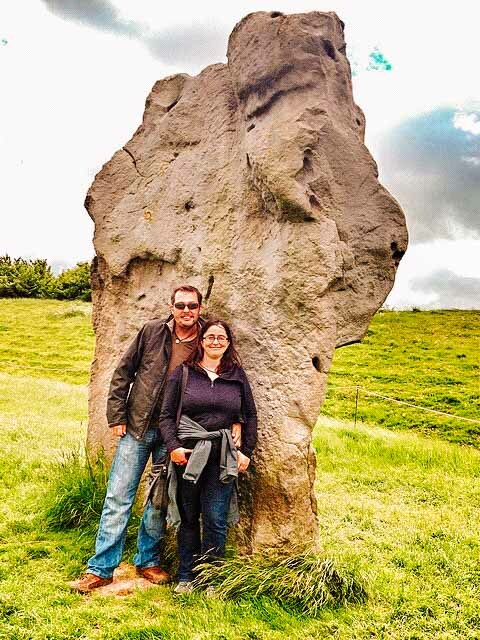 If you’re a bit disappointed that you don’t get to be up close to the stones in Stonehenge then you’ll love the fact that you can do it at Avebury. It’s a huge stone circle that has a village that has grown round it. 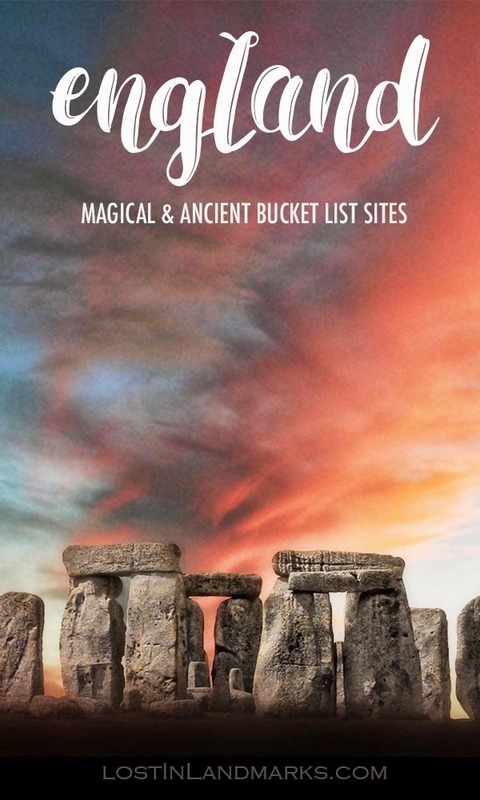 There are even places that you can stay that are within this ancient site – definitely a bucket list item! Avebury is a neolithic ceremonial site which dates to 2850 BC – it’s actually quite a complex site with lots going on that we’ve learned about over the years. You can visit for free although there is a charge for the car park just outside the village. There’s also a really good museum that you can visit which talks about the history of the site and what other things have been found there. Nearby: Stonehenge, West Kennet Long Barrow and Silbury Hill. Also see the Uffington White Horse below too. See our post all about this World Heritage site here. Where is it? Near Avebury in Wiltshire, South England. About 24 miles north of Stonehenge. If you’re visiting Avebury then you really should try and see some of the other sites in the area as they are really close. 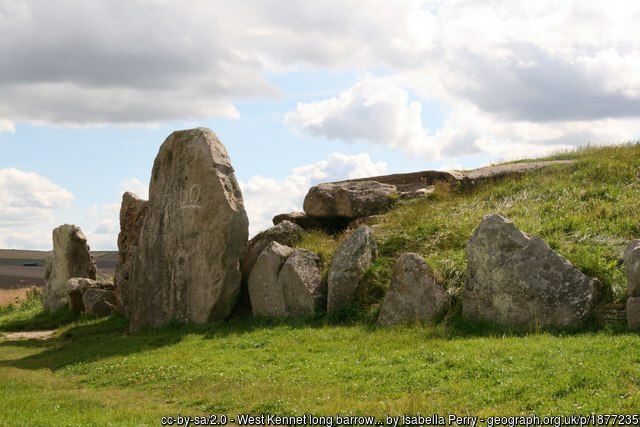 This one is West Kennet Long Barrow – a neolithic burial chamber which dates back to 3650 BC. It’s known to have been the burial site for almost 50 individuals with many grave goods being found alongside. It’s really easy to get to with parking in lay-by nearby and it’s free to visit. See Avebury above for recommendations of places to stay. Finally for the Wiltshire area we have something a little different (although there are lots more in the area I haven’t mentioned – you could spend a good few days in the area exploring if you wanted to!). Silbury Hill is a man made mound that actually is similar in size and shape to the Pyramids in Egypt and also a similar time period too. It’s not known the reason for the construction and no burial chamber has been found but obviously it was important for some reason. 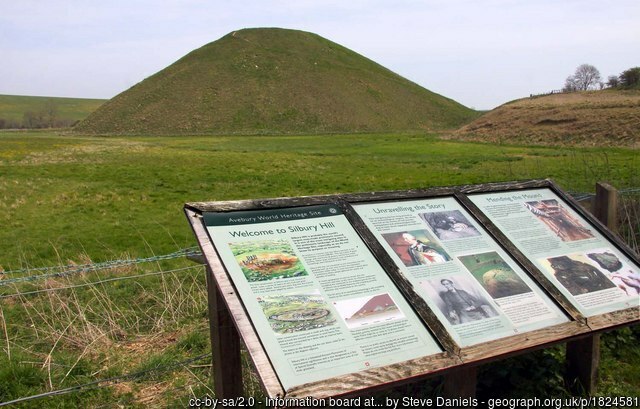 Visiting Silbury Hill is a quick affair – it’s close by to Avebury and the other sites and is free. You cannot get access to the hill itself but there is parking nearby for you to get a closer look. Where is it? Near Worksop in Nottinghamshire, North England. 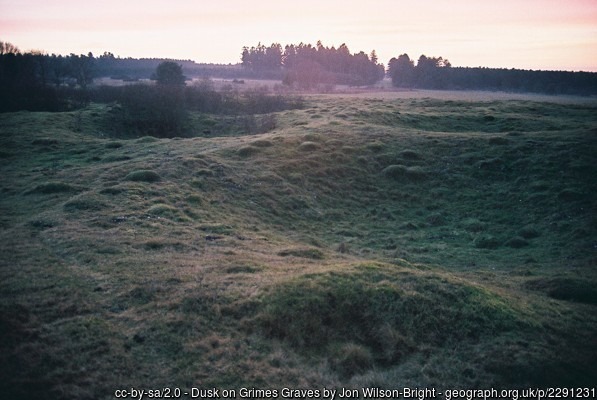 This is a local site to me and it amazes me that it never appears on these round up posts about ancient England. So what’s there? 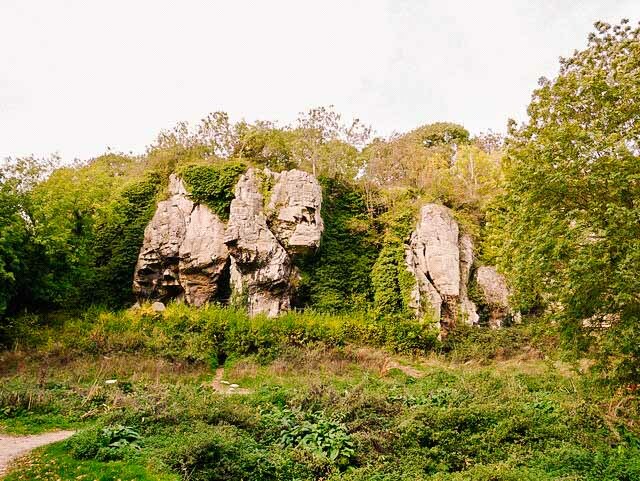 Creswell Crags is a limestone gorge with many small and larger caves in a network along it. It’s home to the oldest verified cave art in Britain and much of it was only discovered in relatively recent times. There are cave tours that take place daily most of the year (weekends only from November to January) and there’s a recently opened exhibition centre with a museum inside so you can learn all you need to know about the area and the finds. If you just want to have a walk along the gorge and imagine what life was like in prehistoric times you can do that for free. There is a charge for parking and for the cave tours and exhibitions. For more information see their site here. Where is it? Near Keswick in Cumbria, North England. Part of the Lake District. This stone circle in the Lake District is one of the oldest in Britain dating back to around 3000 BC and the setting of it is just stunning. There’s the mountains of Helvellyn and High Seat in the background making this a really atmospheric place to visit. Castlerigg stone circle is near Keswick which is a popular Lake District town. Parking is a bit limited nearby but you can walk and it’s about 30 mins from the centre of town. It’s managed by English Heritage but it’s free entry. Where is it? Near Peterborough in Cambridgeshire, East England. 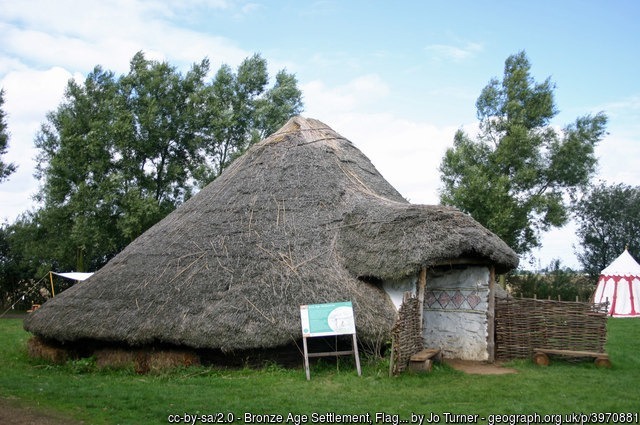 Flag Fen is the site of a bronze age settlement and there are remains that have been found which date to 3500 BC. The unique landscape of the area has meant that it’s been well preserved which has allowed for a lot of learning of what life might have been like back then. There’s a reconstructed round house to visit and many information posts to learn about life in the past. There’s a small cafe serving simple food and drinks as well. Flag Fen is open in the summer months from April – September and you can see more information about this historical site here. Where is it? Near Thetford in Norfolk, East England. Again, something slightly different to the myriad of stone circles around (I love em, but something different is also good!) is Grime’s Graves. It sounds more sinister than it actually is though, although it was later used as a burial site it also had another initial use. It’s actually one of only about 10 known prehistoric flint mines in the UK. This one was first built around 4500 BC so it’s one of the more older historic sites in this post. As well as visiting the weird lunar like landscape you can also go on a tour down the mineshaft (not suitable for under 10 year olds) which is definitely worth doing. The site is managed by English Heritage and there’s an admission charge to the area. Do check their site for details of when the tours are on. Where is it? Near Dorchester in Dorset, Southern England. 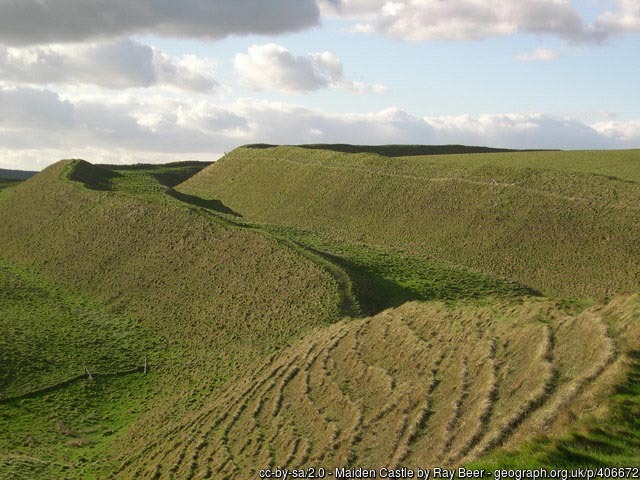 Maiden Castle is an Iron Age hill fort and one of the most impressive in the UK. It’s actually really huge and one of the biggest in Europe making it a definite place to visit if you’re in the area. 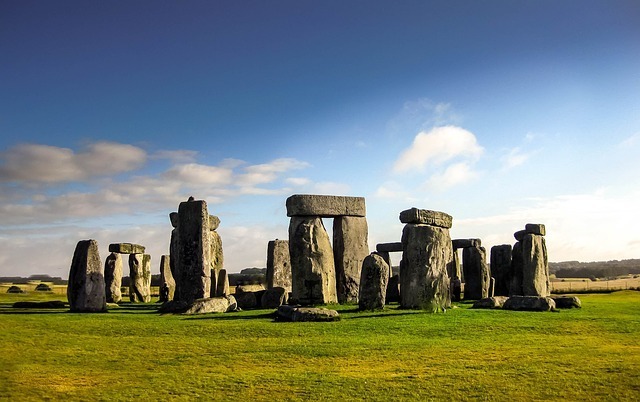 It was built in the first century BC and was occupied from about 800 BC to 43 AD but archaeologists have found evidence of a neolithic settlement dating back to 6000 BC as well. When we visited this site a few years ago we were slightly unlucky with the weather and didn’t get the best views due to fog and mist. My advice is to go on a clear day when I imagine the views will be slightly better! Maiden Castle is another site managed by English Heritage but it’s free to visit and there’s a decent car park at the base. 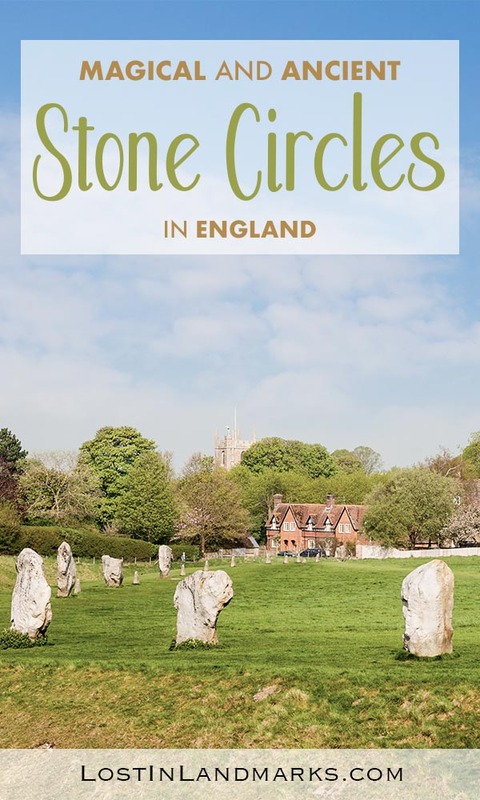 Other sites nearby: a couple of stone circles are in the area – The Nine Stones, Kingston Russell Stone Circle and also a bronze age burial mound. Dorchester also has a wealth of historical sites to visit too. Where is it? Near Eastbourne in East Sussex, South East England. The Long Man of Wilmington is one of those striking sites that we actually know little about. Some people believe that the man was created in ancient times while others think it’s more medieval. Whatever the real answer, it’s a pretty cool thing to see and is amazing when you think that whenever it was made the person making it wouldn’t have been able to as quickly and easily see what it looked like from afar. Did it take them forever to get it right? Possibly going back and forth to a viewpoint to see? 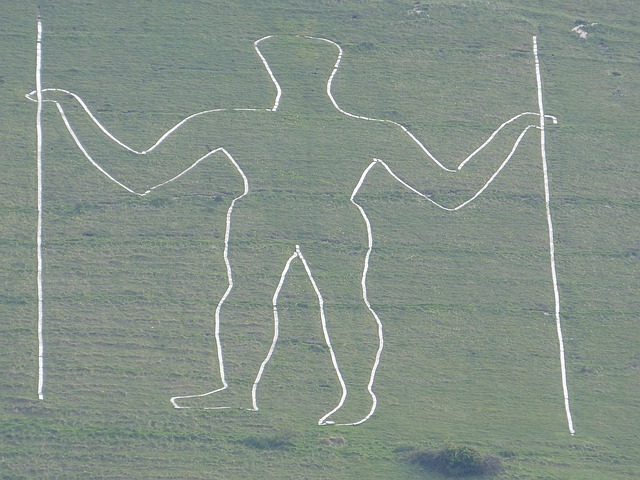 He’s made of chalk and is part of the Sussex Downs which is a lovely area to go walking in in the South East of England. You can reach the Long Man from a car park in Wilmington and there are foot paths to the area so you can explore. Search for hotels nearby here. Where is it? In Oxfordshire near Swindon, South England. 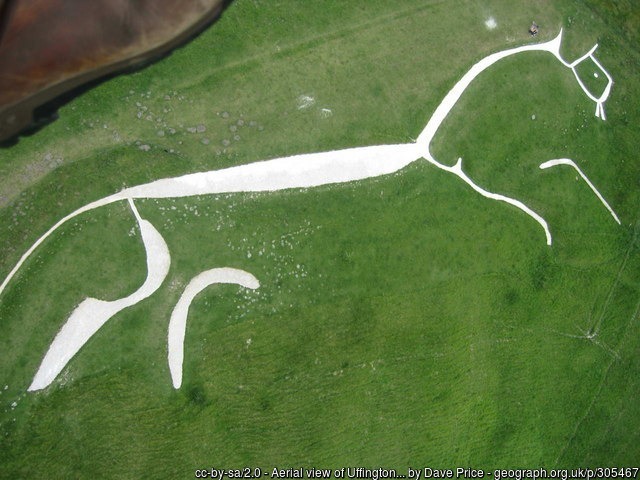 If you’re a fan of the Long Man of Wilmington then you might also like the Uffington White Horse. This one is in a completely different area, Oxfordshire and might even be worth visiting if you’re in the area visiting Avebury as it’s only about a 40 minute drive away. Like the Long Man there’s not a great deal of certainty over the figure and plenty of speculation to the actual age and also plenty of myths and legends of the are. One of them deals in a mound nearby named Dragon Hill which legend tells us is where St George slew the famous dragon – could that be true and if so what does the white horse image mean in relation to it? Visiting the White Horse is really easy with a car park nearby (pay and display – free for National Trust members) and a trail to walk along and even an audio guide available from the website. Nearest Town: The White Horse is in some lovely English countryside and is between Swindon and Oxford. Other sites in the area – All the Avebury sites are a short drive away. Where is it? In Exmoor National Park in Somerset, South West England. 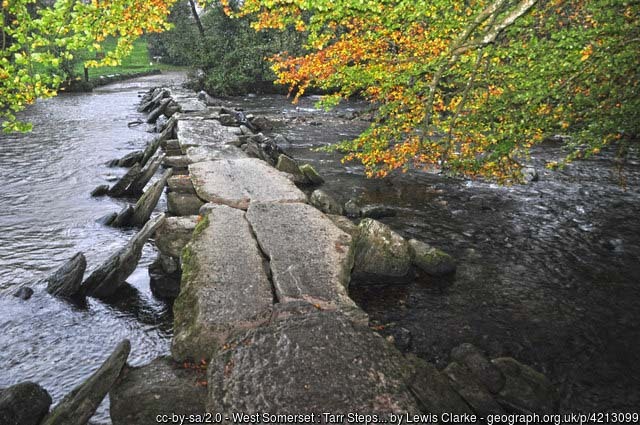 Tarr steps is what is known as a clapper bridge. What this is is a bridge made of large flat stone slabs and the ones here are up to two tonnes each. As with many of the ancient sites there’s disagreements on the age of the bridge with some believing it to be medieval and others thinking it dates back to the Bronze Age. Exmoor National Park is a great place to visit if you’re in the South West of the country and if you happen to like walking I urge you to add the Tarr Steps to your itinerary. There’s plenty of walks in the area including a nice circular walk too. Where is it? Cornwall, South West England. 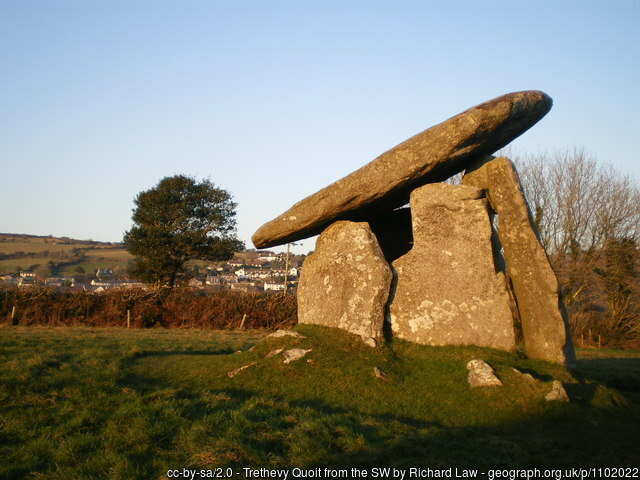 If you’re touring the South West of England and venture down in to Cornwall then Trethevy Quoit is another neolithic site to add to your list. This is a really well preserved portal dolmen which is a monument that is found in the Cornwall area specifically and seems to be a kind of burial chamber although it’s far from clear the exact purpose. This one dates to around 3500-2500 BC. It’s a huge feat of engineering with 5 standing stones being capped off by that huge slab that weighs around 20 tonnes. The whole thing is almost 3 metres tall! It’s free to visit the site and there’s a small parking area close by. Finally and at the very tip of the country in Cornwall we have Chysauster ancient village and if you make it this far down you’re in for a treat. There’s a few different ancient sites in close proximity in this area too. 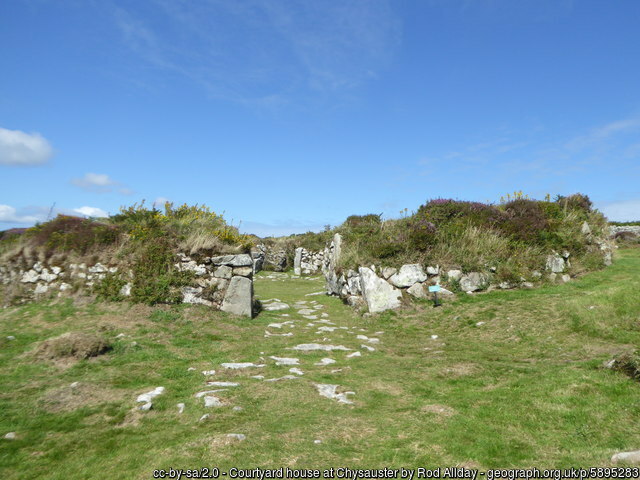 The village is an old Iron Age settlement which was occupied around about 2000 years ago so around about the time that the Romans came over. It’s a unique design that has only been found in this area and also the Scilly Isles which are nearby. It is owned by English Heritage with a small admission price for entry and a free car park on site.